I’m very pleased to say that our upper-voice chamber choir, Minerva Voices, has risen from the ashes like a phoenix this year, and is currently rehearsing ahead of a concert in March. 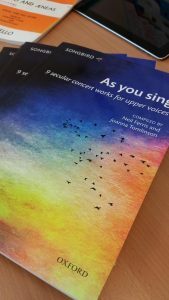 Following on from auditions at the start of term, the upper-voice choir comprises undergraduate and post-graduate singers, and this year is working on some wonderfully colourful repertoire, including a new piece by Russell Hepplewhite, which is part of an anthology recently published by OUP, As You Sing. Russell’s piece, Fly away, over the sea, is a gorgeously-flowing setting of a poem by Christina Rossetti, and the choir has already begun working on it as part of its programme for March. 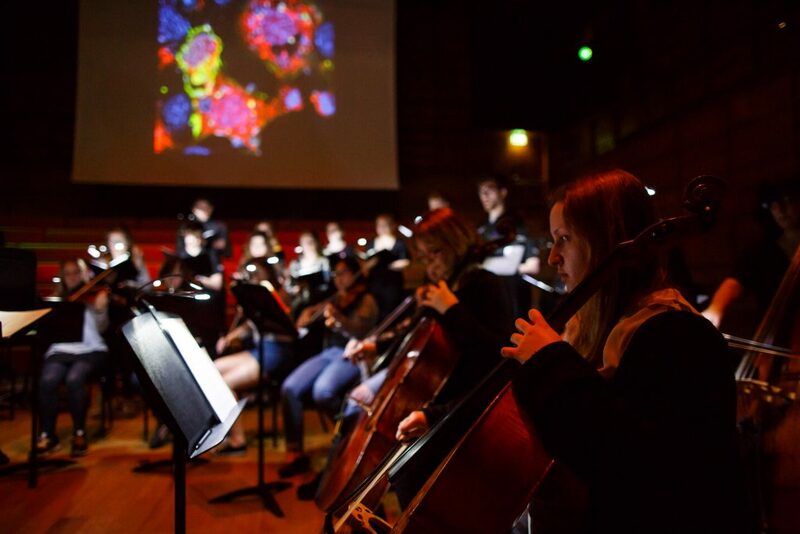 The concert will also include the evocative Tundra by Ola Gjeilo, and movements from Vivaldi’s enduringly fresh-faced Gloria, in an arrangement which reflects how the work might originally have been performed at the orphanage in Venice, where Vivaldi was working at the time, for which the choir will be joined by members of the String Sinfonia. This entry was posted in In rehearsal and tagged Gloria, Minerva Voices, Ola Gjeilo, Russell Hepplewhite, Vivaldi on October 24, 2018 by Daniel Harding. 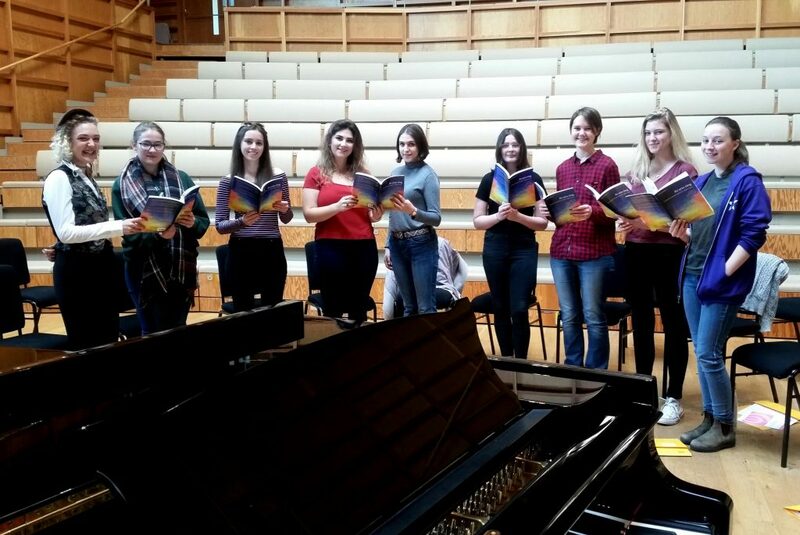 The Cecilian Choir has always been something of a playground for experimenting with contemporary choral music, and this term we’ve been finding our feet with a selection of modern pieces that really challenges us. Alongside this, the Choir is drawing out the rich dissonances in Latvian composer Arturs Maskat’s Lugums Naktij (Prayer to the Night); additionally, we’ve recently begun working on Indian Prayer at Evening, the third of ‘Three Native American Songs’ by the young British composer, Toby Nelms, with swinging, prairie-filled open-fifths and a suitably dusky tonal palette. 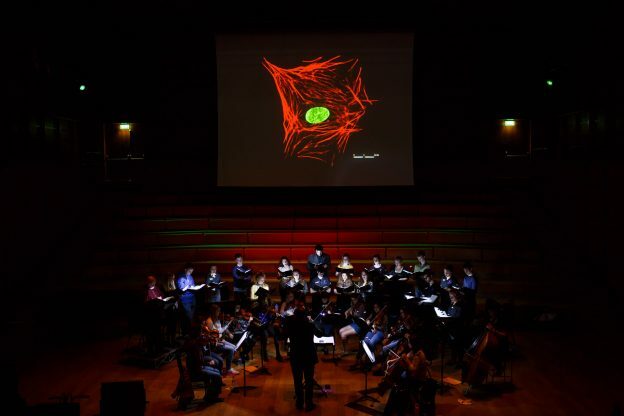 We started our contemporary odyssey with the Hymn to the Dormition of the Mother of God by the late Sir John Tavener back in October, which will add an element of tribute to the choir’s concert in April. This choir excels at picking up new music, and for next term I’ve lined up some pieces by Howard Skempton as well. 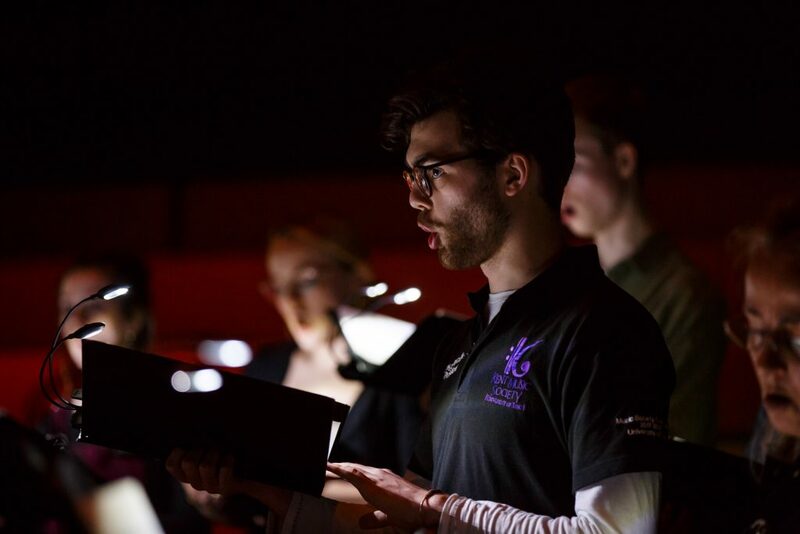 The backbone of the programme is something rather less modern – movements from Hassler’s Missa super Dixit Maria, written somewhat earlier in 1599, and a piece I’ve wanted to do for a long while; the intention is to weave the contemporary pieces amongst the movements of the mass. Before then, the Choir will be performing a clutch of carols at next Wednesday’s end of term, festive ‘Watch This Space’ event on the foyer-stage. But it’s in the contemporary music that the choir is particularly strong; next term’s concert will be a treat. Follow the Cecilian Choir on Twitter. 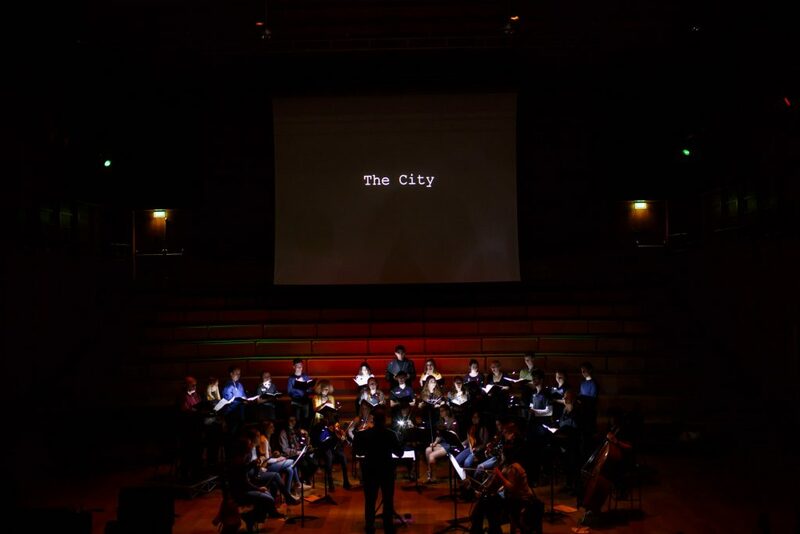 This entry was posted in In rehearsal and tagged Arturs Maskats, Cecilian Choir, Hassler, Ola Gjeilo, Skempton, Tavener on December 12, 2013 by Daniel Harding. 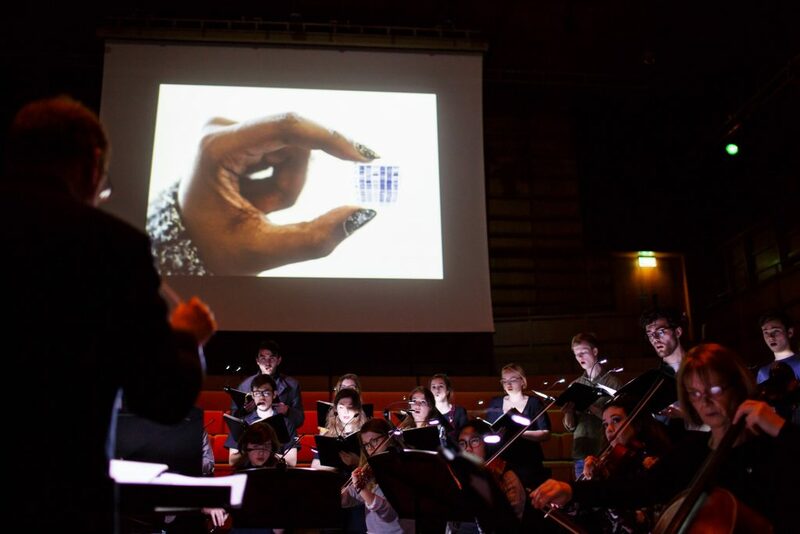 This week, the second week of rehearsals with the Chamber and Cecilian Choirs, has seen a real development since last week’s tentative feet-finding first sessions. Chamber Choir is still ploughing through its repertoire for the Crypt concert in March – we’ve a weekend workshop this Saturday as well, at the end of which we’ll pretty much have sung through nearly all the pieces in the programme. I’m expecting us all to feel slightly more relaxed after Saturday – a few movements from the Brahms’ Sieben Lieder aside, we will now start returning to repertoire we’ve already seen, which will (I hope) start to make the pieces feel more familiar – instead of being confronted each week by new pieces. And the Cecilian Choir is really starting to develop a terrific sound; we revisited the Hassler ‘Kyrie’ and moved then into the ‘Gloria,’ before departing Germanic Renaissance for the contemporary shores of Ola Gjeilo’s Ubi Caritas and then back to Germany for Rheinberger’s richly-sonorous Abendlied. As the Choir revisits passages we have previously seen, it starts to grow in confidence, and there’s the potential for a lovely ensemble sound to emerge as we become more confident in singing. As we work to develop the three-dimsensionality of the pieces by bringing out the dynamic contrasts and, in the Hassler, the individual subjects as they enter, the choral sound is really beginning to blossom. 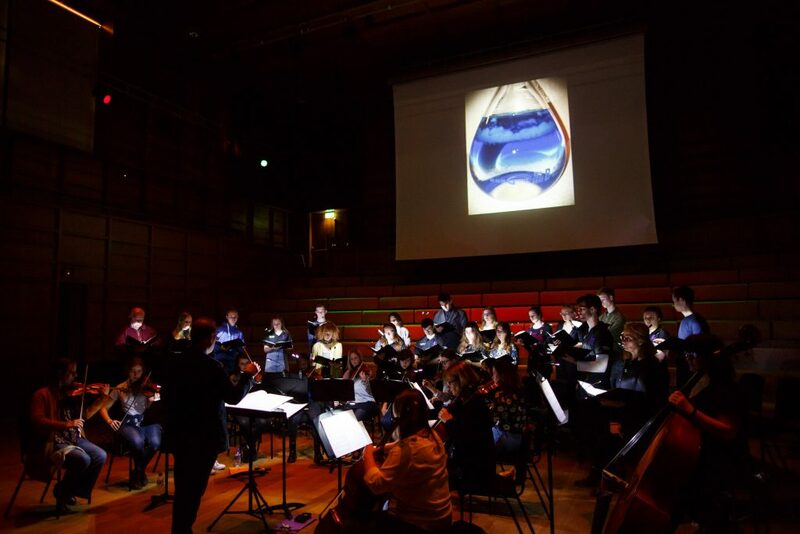 Whilst at the start of the week, the upper-voice incarnation of the Cecilian Choir (we’re still working on a name…) met for the first time to explore music by Hildegard of Bingen and send some medieval monophony soaring around the concert-hall. We’ll be experimenting with performing it with and without a drone accompaniment, and establish the wonderful flexibility of the lines as we become more familiar with Hildegard’s colourful melismatic writing. This entry was posted in In rehearsal and tagged Brahms, Cecilian Choir, Chamber Choir, Hassler, Ola Gjeilo, Rheinberger on October 17, 2013 by Daniel Harding.